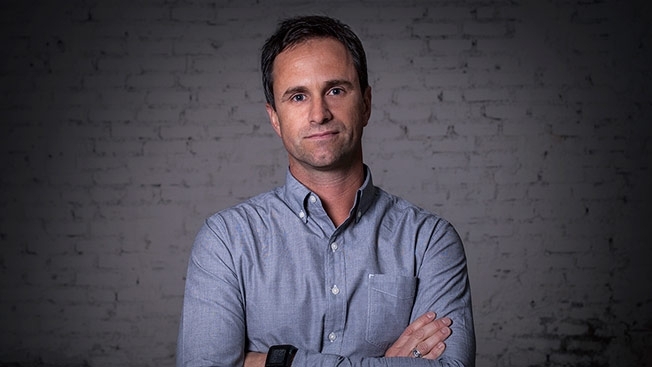 Chris Garbutt, the Ogilvy veteran who moved to New York last February for a new role leading creative at “Ogilvy East,” has announced his plans to resign his current position with the agency. A South African native, Garbutt began his agency career with Ogilvy & Mather in Johannesburg before joining the TBWA organization. He spent several years as CD at TBWA\Hunt\Lascaris before moving to Paris, where he ran creative for such TBWA clients as Nissan, Sony and Absolut. In 2008, Ogilvy Paris hired him as ECD; he “worked closely” with Global CCO Tham Khai Meng and eventually made the jump across the pond, where he has reported to North American CCO Steve Simpson for the past 18 months. Today we have accepted Chris Garbutt’s resignation as CCO of Ogilvy & Mather East. Chris is set to become global creative president at another agency, a role he has long aspired to. In all, Chris has been a member of the Ogilvy family for 15 years. He first joined Ogilvy & Mather in Johannesburg in 1995. Later, he led creative at Ogilvy & Mather Paris for eight years, before arriving in New York in May 2014. Although his tenure in New York was brief, Chris’s contributions have been important, and his passion and work ethic have been admirable. This is the way of the business—of every business—as we all know. Happily, we can wish Chris well without anxiety. The usual thing to say is we have a “deep bench;” this would understate the case. In truth, we have great depth and strength in creative leaders who are already playing key positions on the floor. Ogilvy & Mather has accepted Chris Garbutt’s resignation from his role as Chief Creative Officer of Ogilvy & Mather East. We appreciate Chris’s accomplishments to the Ogilvy & Mather network over the past decade and, specifically, to the New York agency over the past year. We wish Chris all the best and have no further comment at this time. Let’s all just leave it at that. Ogilvy framed Garbutt’s move to New York as the creation of a new role; agency staffers told Adweek at the time that he entered the organization with “a mandate to oversee creative across disciplines including advertising, customer engagement, public relations, digital, shopper marketing, branded content and entertainment.” Ogilvy also ensured Adweek that Garbutt’s move would not affect the influence/responsibilities of then-CCO Calle Sjoenell. As we now know, though, Sjoenell left the agency six months later and returned to his native Sweden via Lowe Brindfors; Garbutt himself then promoted ECD/partner Corinna Falusi to the CCO role in New York in what was seen as his first big executive move. “I find this job very lonely. Being creative, you have to expose your inner personality. Garbutt goes on to say that he prefers to meet people “outside of the industry so you realize you’re not alone,” but sources tell us that he will not leave the ad business. In fact, we hear that his next position with be with TBWA/Chiat/Day. 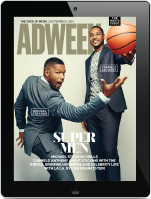 UPDATE: Ad Age would appear to have some of the same sources, who revealed this afternoon that Garbutt will indeed be global creative president and CCO of TBWA in New York.